It is summer in the USA, which also means baseball season has started, which means I had to go and watch a game. 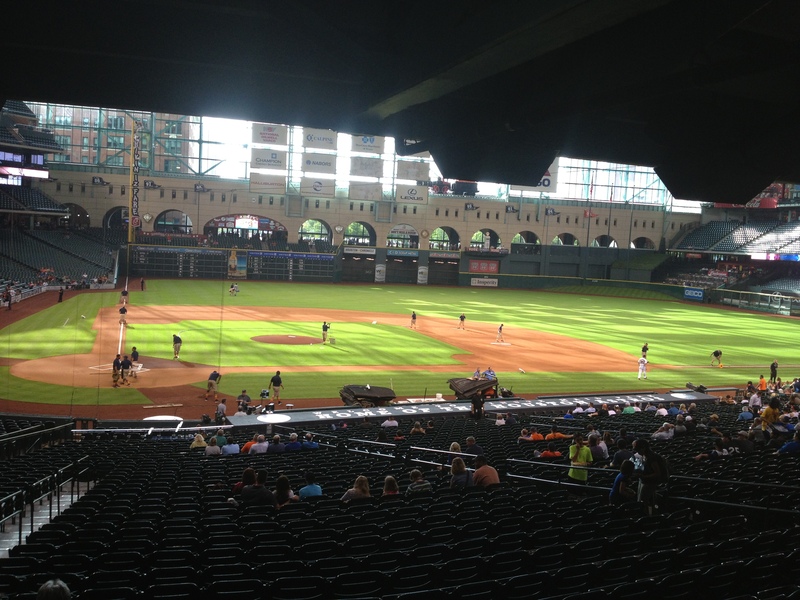 I mentioned previously that the Houston Astros have been playing in a covered, air-conditioned ballpark for many years. They gave their name to the Astrodome and Astroturf which was used for the green sections of the field in the Astrodome (growing grass under cover was a bit of a challenge). 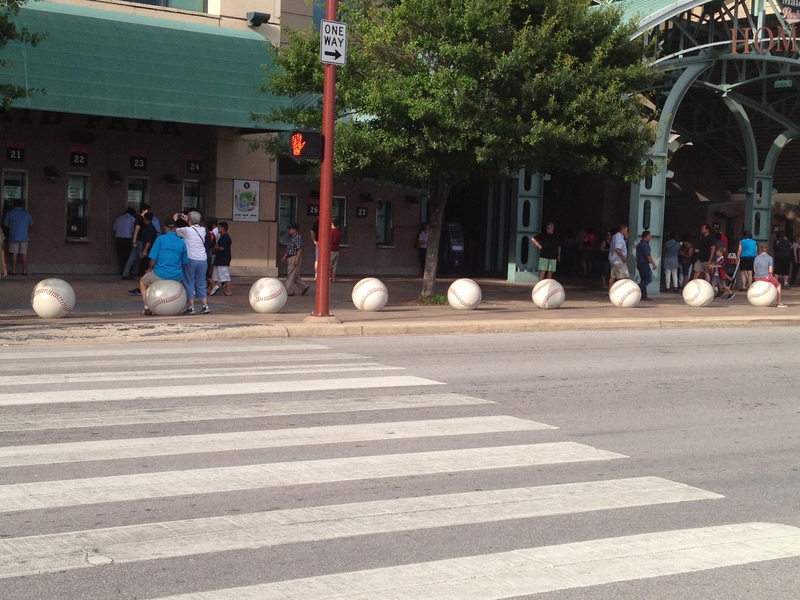 The Astros played their last game in the Astrodome in 1999 and moved to a bigger venue just east of downtown Houston. 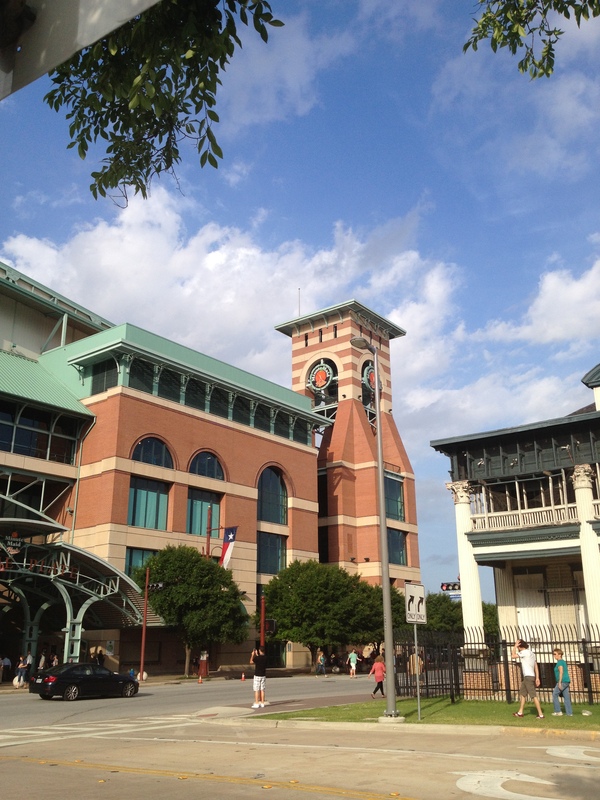 This ballpark is currently sponsored by Minute Maid and hence called Minute Maid Park. It has a retractable roof and real grass grows on the field, although as the summer in Texas gets rather hot, the roof is closed and air-conditioning is on for most games. 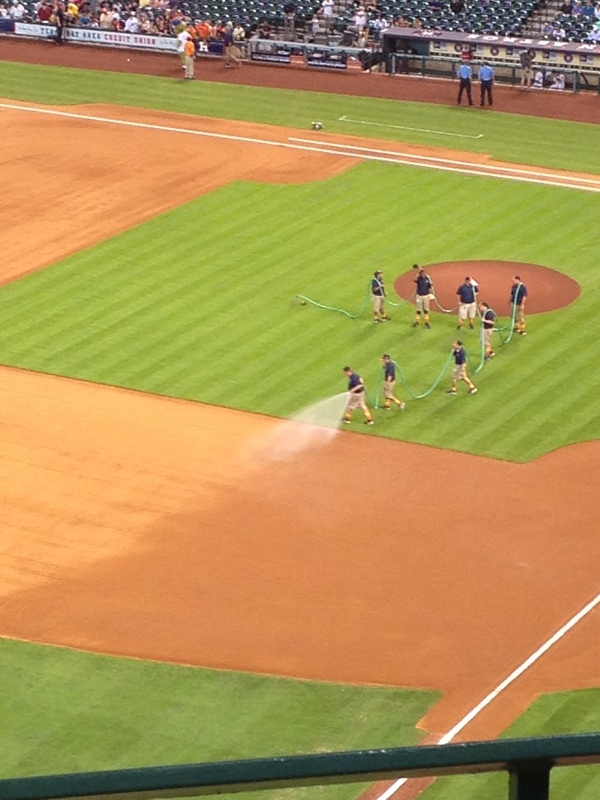 Like any grass covered sports field, there is a team of groundskeepers who care for the field between and during games. I was a little amused by the care taken over the hose used to water the section of dirt which the batters run around to score. Between innings this same team drags smoothers around that part of the field to remove any marks left by the batters while running from base to base. 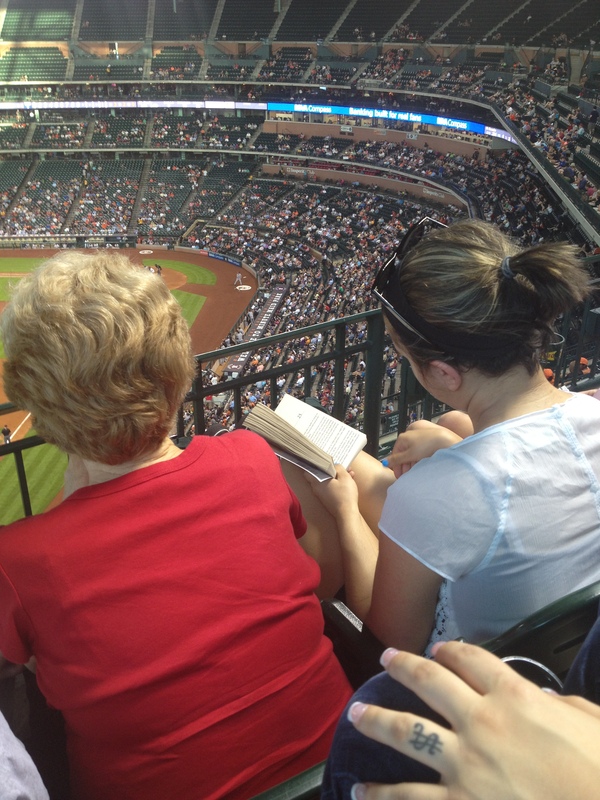 Once the game started I learned a little more about baseball. In essence it is the same as cricket; someone from one team throws a ball at someone from another team who tries to hit it as far as possible with stick and if it has been hit hard enough starts running which is how to score. The differences between baseball and cricket are that the person throwing is called a pitcher rather than a bowler (because water jugs are better at throwing than hats are). The person with a stick is a batter rather than a batsman (less sexism in the US game). The batter has to run around four sides of a diamond to score rather than one length of a wicket (they do get to stop at bases if needed). And it is this last part which is why baseball scores are so much lower than cricket scores. When I told my American friends that a cricket score could be as much as 500 in one innings they were rather surprised. I decided not to try and explain all of cricket to someone not really that interested at the same time that I was trying to learn baseball. The way that innings work is also different. As much as I was being teased about cricket matches taking five days, if there were nine innings to a cricket match they could take a month! I think that in baseball an innings is over once the team batting has had three batters batting who have not managed to score. I may be wrong and am happy to be corrected by comment to this post. The one thing they do have in common is that I find both games rather boring. This is likely to be because I don’t fully understand all the detailed intricacies of strategy involved in either game so I am not in a position to critique the teams’ play. I will give cricket credit for not really caring whether its spectators are interested in the game or just enjoying a summer day with Pimms’ and cucumber sandwiches. At the ballpark there was considerable effort to engage even the least interested members of the audience with cheer leading, announcements over the speaker system and an attempt at the 7th innings stretch to encourage us to sing advertisement songs for two sponsors. I’ll take the afternoon break for tea over that sing-song any time. I realise that many readers will not grasp the full meaning of the title of this post as to them cricket is merely a sporting game. It is however not just any sporting game, it is a gentleman’s game and known for the honourable behaviour of its players. The most visible of which is when a batsman starts walking back to the pavilion for being out before the umpire has indicated they are out. In England, the expression ‘it’s just not cricket’ indicates a situation as being unfair or ungentlemanly. 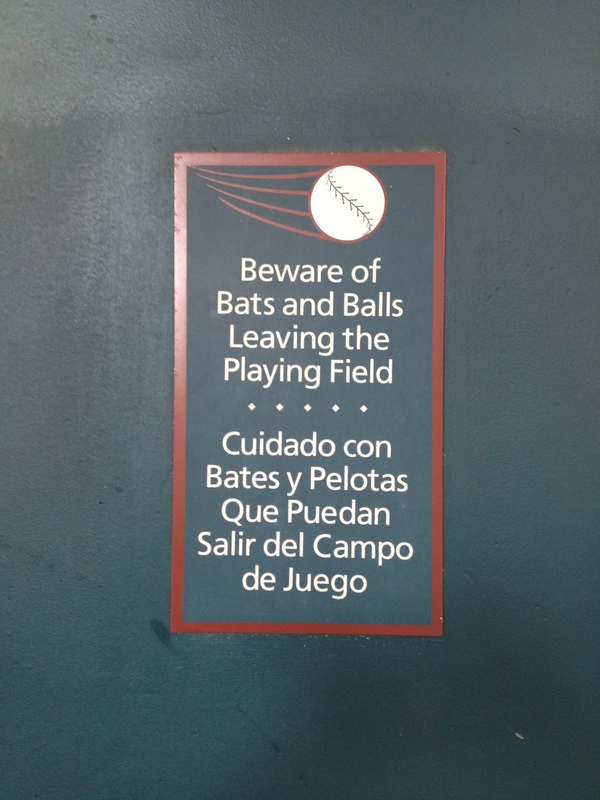 I wish to emphasise that although I am using this idiom as the title to my initiation to baseball, I do not think baseball or its players are in anyway unfair or ungentlemanly!